For drivers with a decent driving history, the overall cheapest auto insurance companies in Maine are Patriot, Progressive, and Vermont Mutual. Each carrier offers quotes from 10% to 19% below the median rate for drivers of similar age and profile. Other insurers to put on your bucket list to get quotes are Concord, Country Way, and Allstate. Any of the carriers can offer quotes from 8% to 18% below the median rate for similar profile drivers. Two other carriers to get quotes from are GEICO and State Farm. Depending on the zip code you reside, you can get quotes from 8% to 19% below the mean rate for drivers. In this article, I am going to cover the least costly insurers by age, the minimum auto insurance requirements, and cost-saving tips to help you lower your monthly premium. 1.4 Who Has the Least Expensive Quotes in Maine? The state of Maine has higher than national average state minimum requirements for car insurance. The set minimum for Maine is 50,000/100,000/25,000 for bodily injury liability and property damage liability. Bodily injury liability covers hospital charges for the driver and passenger of the other auto if the insured party is revealed to be at-fault in the accident. Under the minimum coverage, the insurer will pay up to $50,000 for a single person up to $100,000 for all people hurt in the accident. Note: The average rates for a 25 year old driver in Maine is $1,560 per year. If you compare quotes from the top five providers in our table you could save more than 15% yearly. Please see table below. Property damage liability is going to pay for physical damages to the other driver’s car as well as street lights, fire hydrants, houses, places of business, and livestock or other animals. Note: For a 45 year old driver in Maine the cheapest insurance firms are GEICO, Patriot, and Progressive. The average rate is $1,090 per year in the state of Maine. See table below. If the minimum policy is held, the insurance corporation will pay up to $25,000 for damages sustained. Maine is one of the few states which requires drivers to get uninsured motorist protection which is a cover that helps pay for medical expenses and damages to the insured vehicle if the at-fault driver does not have insurance. Note: As illustrated, a 55 year old driver should be able to get low rates in the state of Maine. Patriot, Progressive, GEICO, and Vermont Mutual were the lowest when conducting our study. Another fact is Maine is a tort state; therefore if you have cause the accident then you will be responsible for paying the medical expenses of the injured driver. Note: For detailed information please see table below. The graph above illustrated “not” the lowest cost providers, but the median rate. Although, more expensive they should not be counted out. You may be able to get a lower insurance premium with one of them. Who Has the Least Expensive Quotes in Maine? When I queried for quotes in Maine the cheapest insurers are GEICO, Patriot, and Progressive. And this is if you are only going by price. There are many carriers in Maine which offered a tailor coverage plan with a low cost such as Vermont Mutual, Country Way, or Concord. And many residents decide to get a policy from them. Though GEICO or Patriot offer the lowest quotes there are other factors you may need to consider when shopping for a policy. For example, if you can combine policies, etc for a discount. The three cheapest, GEICO, Patriot, and Progressive offer policy discounts to help you save more. The state of Maine’s government website recommends anyone that has a vehicle which is worth more than $2,000 to consider buying collision coverage, particularly if you live in a higher populated area such as Lewiston. 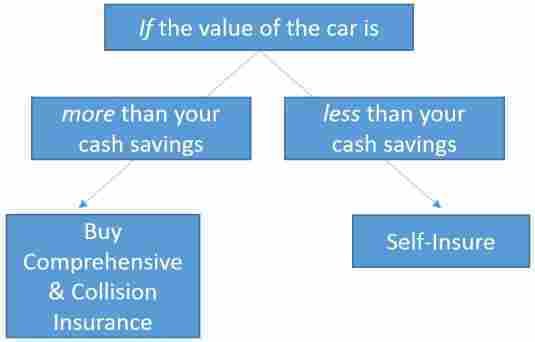 Note: As illustrated, if you have $3,000 in the bank and your vehicle is worth $2,500 then you would forgo comprehensive and collision coverage to save. If you have a vehicle that is valued in this range you would want to consult with your insurance company about buying optional collision coverage. Comprehensive coverage is optional but highly recommend in the state of Maine since the state has severe winter storms, your windshield could break, or any other non-collision type of accident would be covered. If you have a newer vehicle comprehensive should be on the policy. When you are purchasing a policy other items such as GPS navigation units, radios, DVD players are going to be covered by comprehensive only when the items are permanently installed on the vehicle. Portable items are not going to be included on the policy unless your insurance firm offers an endorsement to add to the policy for such items. If you are a 55 year old driver in the State of Maine with a clean driving history you should be able to get low rates. As illustrated, the list of the “next” six of insurance companies were almost as low as the top six illustrated earlier. In the table below I included 16 insurers in Maine with amount of direct written premiums for each. Also included is the percentage rate change over a 12 to 18 month period. This shouldn’t alarm you since the amount for each insurer is not extraordinary. If you get a traffic violation then your rate may spike and depending on the violation it can spike significantly like 30% or even 50%. The consumer ratings is an average from JD Power & Associates, AM Best, and other reputable online sources. The number of complaints for each is typically from a poor claims handling process. Any insurer you shop a policy for is going to have a number of complaints. Again, this shouldn’t be alarming and only a guide to help you find a low rate with a reputable carrier. Other factors to consider in the state of Maine when buying a policy is there will be a ten percent “short rate” cancellation fee if you are going to change insurers in the middle of the policy. The only time a driver is exempt from a “short rate” cancellation fee is if you have sold or no longer own the vehicle. The cost of a premium can vary from city to city. Which is one of the reasons you can have a low quote in one area and higher in the other. If your quotes are significantly higher than those below you may want to consider the factors insurers use to determine your rate. Your quotes may be lower if you are married, if you have good credit, or if you did not let your premium lapse. In the table below I found quotes would vary from $1,235 to $1,546 for a 30 year old driver with full coverage in the state of Maine. If you would like a detailed comparison of large cities please read further below. If you are in the market for a cheaper premium in Portland then start with GEICO, Patriot, and Progressive. I queried each at $1,236, $1,247, $1,280 for a 30 year old driver. Which is 11% to 13% lower than the average premium. The quotes clustered between $1,236 and $1,389 for full coverage. Which is a variance of $153 or nearly a 15% difference between the lowest and highest quote. A 45 year old can get the best prices with GEICO, Patriot, and Progressive. I queried each at $733, $738, and $748 per year for full coverage. Which is 14% to 16% lower than the citywide “mean” rate in Portland. Quotes clustered between $733 and $809 making a $76 variance. Or approximately 10% between the lowest and highest quote. Making it important to compare for the most savings. Home to the University of Maine, Portland is on the Atlantic Ocean and is the largest city in the state. Over 40% of the state’s residents reside near Portland and has the 20th largest fishing port in the United States. No other port is closer to the Europe. Historically known as “Forest City” with stunning landscapes and outstanding scenery the city of Portland been destroyed twice. Portland’s Old Port District is popular with tourists, showing northeast culture, breathtaking coffee shops, and stunning restaurants. To get the cheapest premium in Lewiston then start by getting quotes from GEICO, Patriot, and Vermont Mutual. I queried each at $1,278, $1,245, and $1,299 for a 30 year old driver. The lowest is Patriot which offered a quote $33 cheaper than GEICO. All three of the carriers are 11% lower than the average premium in Lewiston. A 45 year old can get low quotes GEICO, Patriot, and Vermont Mutual. Each queried at $755, $756, and $778 respectfully per year for full coverage. Which is 10% lower than the citywide “mean” rate. The quotes clustered between $755 and $809 which is a $54 variance among carriers. Or less than 5% making any of the illustrated insurers worth getting quotes from for comparison. Lewiston is north of Portland and has foundation built in agriculture, mills, lumber, and manufacturing. Surrounded by beautiful landscapes it is home to many outdoor enthusiasts. The old factories in the city of Lewiston are seen by tourists year by year. Home to the Great Falls Balloon Festival and the Greek Festival much of Lewiston’s old “glory days” have been run down. If you aren’t getting the lowest rate in Bangor your probably looking in the wrong place. Start by getting quotes from GEICO, Patriot, and Vermont Mutual. I queried each at $1,311, $1,322, $1,367 per year for a 30 year old driver. Which is 10% to 12% lower than the average policyholder in Bangor. The quotes clustered between $1,311 and $1,576 which is a big variance of $265 or nearly 20% difference between the lowest and higher insurer. Making it important to compare quotes before purchasing a policy. A 45 year can find the cheapest rates with GEICO and Patriot. I queried each at $768 and $783 respectfully per year for full coverage. Vermont Mutual is competitive with a quote only $8 more at $791. Plus Country Way offered a low quote at $808 making any of the lowest four illustrated worth getting quotes from. Bangor has nearly 35,000 residents as of the 2010 census. Though small it is an economic hub for central Maine. Walmart, Hannaford Markets and General Electrics are major companies and manufacturers in the surrounding area of Bangor. The bow plate of USS Maine in on display in Davenport Park and the second oldest garden cemetery, Mt. Hope Cemetery, is in Portland. In Biddeford, Maine you can find the least expensive premium with Patriot, GEICO, and Progressive. I queried each at $1,206, $1,288, and $1,302 respectfully for a 30 year old driver. Which is 12% to 14% lower than the average premium. If you are shopping I would included Vermont Mutual in there too since they are 10% lower than the “mean” rate in Biddeford. A 45 year old can get the lowest rates with Patriot. Only one carrier to mention here since Patriot is $42 cheapest then GEICO. Just for policy comparison I would include GEICO and Progressive since the large carriers can offer plans which aren’t available with smaller more local carriers. Biddeford borders the Atlantic Ocean and has over 21,000 residents as of the 2010 census with a fastest growing economy in the state. It is considered one of the oldest European settlements in the United States. Today it is dominated with history, culture, and wonderful sights for tourists and residents. The city has it foundation in fishing, agriculture, lumber, and textile mills. The Main Street Historic District has neat shops, quaint stores, while enjoying the outdoors. Drivers in Saco can get the cheapest quotes with Patriot, Vermont Mutual, and Progressive. I queried each at $1,265, $1,300, and $1,365 for a 30 year old. Which is 9% to 13% lower than the average policyholder in Saco. The quotes clustered between $1,265 and $1,443 which is a $178 variance. Or nearly 18% making it important to compare policy prices for drivers. A 45 year old can get the best price with Patriot, Vermont Mutual, and Progressive. Each queried at $689, $712, and $775 per year for full coverage. Which is 12% to 15% lower than the average policyholder of similar age and profile. Quotes varied by $165 or over 20% difference between the lowest and highest carrier when comparing quotes. Saco, Maine is a small community of approximately 18,000 residents. It was incorporated as a district in 1762 and later incorporated as a city in 1867. There is a long history of working with Indian tribes to establish the area of Saco in the 1600’s. Eventually, the Plymouth Company granted the area to a couple of individuals and the area became known as Saco in 1653. During the summer months Saco receives a tremendous amount of tourism because of the amusement parks, Ferry Beach State Park, and it proximity to Old Orchard Beach. To find an affordable premium in Augusta get quotes from Patriot, Vermont Mutual and Progressive. I queried each at $1,255, $1,280, and $1,326 for a 30 year old driver. Which is 12% to 14% lower than the average price for drivers of similar age and profile. I would include Country Way in the shopping options with a competitive rate at $1,356. A 45 year old can get low prices with Patriot and Vermont Mutual. I queried each at $676 and $744 respectfully per year for full coverage. Quotes clustered between $676 and $844 which is a $148 variance or over 20% difference between the lowest (Patriot) and the highest (Allstate). Which makes it very important to compare amount insurers to find the lowest premium with optimum coverage. Augusta is the capital of Maine and one the states principal cities with approximately 20,000 residents. The city was named after Augusta Dearborn who was the daughter of the statesman Henry Dearborn who fought in the American Revolutionary War. Augusta was settled in 1754 then incorporated as a city in 1849. Today, Augusta has breathtaking mountain range views from downtown. Any outdoor enthusiast, hunter, fisher, or game trapper would love the community of Augusta.